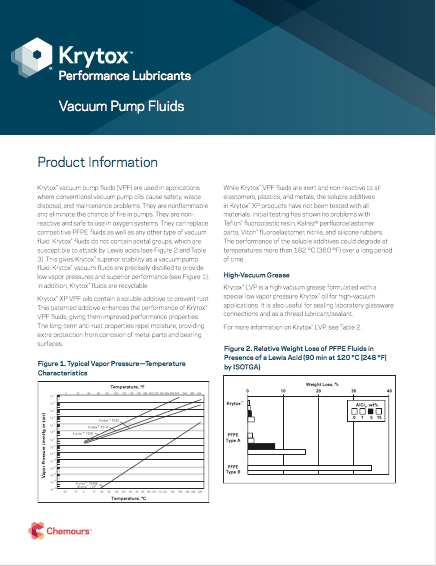 Ideal for the Vacuum industries, DuPont Krytox® vacuum pump fluids (VPF) and low vapor pressure (LVP) high-vacuum greases offer superior performance over hydrocarbon, silicone and CFC based lubricants. 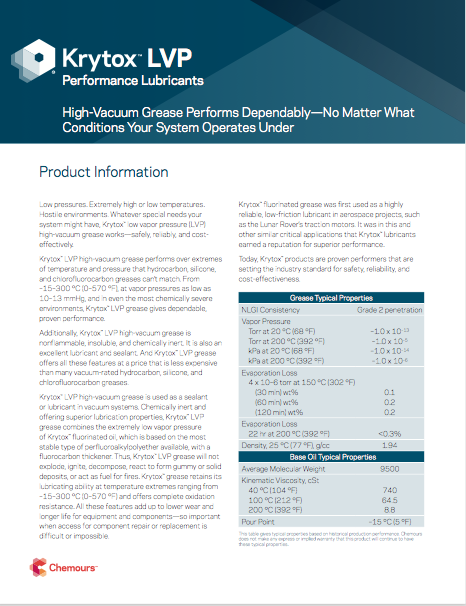 Why use Krytox® vacuum pump fluids and LVP high vacuum grease? Will not decompose or react to form gummy or solid deposits and retains effective lubrication capability at temperature extremes ranging from -15° to 300°C. 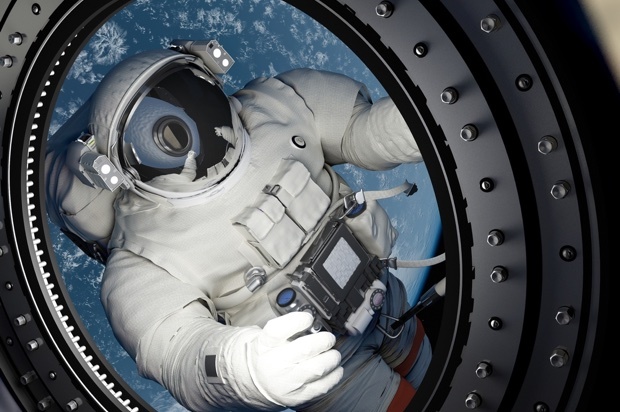 Non-flammable and will not ignite, explode or support combustion, even in a 100% liquid or gaseous oxygen environment. We recommend Krytox 1525 as an industrial grade, general purpose Vacuum Pump Fluid.